From the past two weeks, we had been continuously bringing you exclusive updates on the special telethon that has been planned on the 30th of this month. As part of these updates, we have earlier reported that a special star cricket match has been planned on the same day. According to the latest update, Venkatesh, Nagarjuna, NTR and Ram Charan are elected as the captains of the four teams respectively. Interestingly, the players for this tournament will be selected through auction, the process which was used for selecting IPL players. In this regard, all the players and the captains will meet on the 27th for this bidding process. This entire program will be telecasted live on Gemini TV from evening 9 to 10 PM. 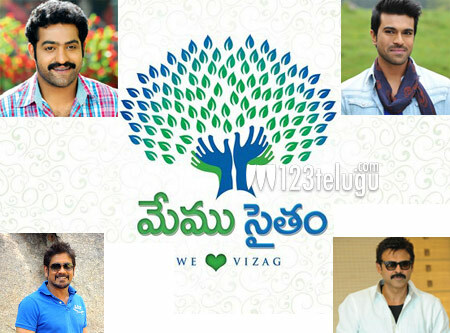 Special skits, dance programs and a lavish dinner with stars have also been planned for this mega telethon, and all the funds raised from this event will go to the Hudhud cyclone victims.